Every woman wants to be the hit of the party, the center of attention, and receive praise about their wonderful outfit. With the women’s humorous costumes that will certainly be the case because there is a huge variety of great and funny costumes for women to wear; let your creativity take over! Everybody knows the classic looks for a costume such as a vampire, princess, nurse, or kitty cat but with these great choices, you can be so much more. You can be a tourist, a doctor, or a cartoon character too! If nostalgia is the aim of your costume and you want to give people a blast from the past then you’re in luck because we can have you looking like you came from pretty much any decade you could think of. Everyone is sure to remember the costume that you get here because they are humorous, costumes can enable you to wear an elegant, flowing gown or toga, showing off your figure gracefully and in a very flattering way, thus catching attention from the other visitors. If you want to look like a Greek goddess, you can consider appearing as a wine goddess or perhaps of a classic Greek empress costume. You can even introduce some twist on your theme and choose to dress as Medusa, who is a very famous snake-haired villain whose eye gaze can funny, and sometimes just plain surreal; imagine, nobody will forget a person dressed as a fruit or vegetable! 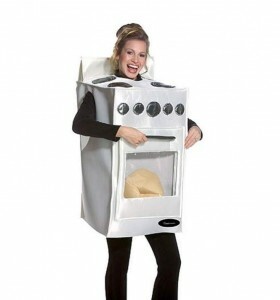 The humorous costumes for women make for a great Halloween party, trick or treating, or a great dress-up party too. Don’t forget we have all of the accessories you could need for your costume like wigs, tights, masks, shoes, and all kinds of things; check it out now!